I was born July 14, 1979 spent allot of my childhood with my grandparents. My grandparents worked at a Knights of Columbus as custodians and brought me along since the Age of 5. My grandfather Oscar introduced me to billiards by opening the bar box table, buying me a small cue and allowing me to play on the table while he worked for hours a day. In May 2011 I decided to start recording instructional videos and post them on YouTube. After many positive comments, half a million views and numerous requests from viewers, I decided to start selling billiard equipment. Viewers told me they wanted to support me in return for my time, efforts, shared knowledge and numerous free videos on YouTube which have helped them develop and grow their game. In Jan 2012 I created a billiard website called Manning Cues and had reservations on the potential it may have with all the other billiard websites on the internet. To my surprise Manning Cues was succeeding and billiard manufacturers authorized me to represent their brand, sell their products and repair their cues. 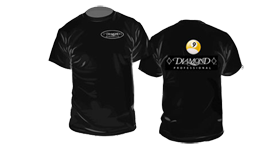 In September of 2013 I started my relationship with Diamond Billiards as a distributor in my local area. I Opened a brick and mortar location and purchased a genuine billiard lathe to keep up with the demand from local players and equipment shipped from the USA and Canada. By January 2014 I had developed genuine relationships with the billiard manufactures and leading wholesalers with distributions facilities in Florida, Colorado, Michigan, New Jersey, Indiana and Ontario. On June 1, 2015 I launched an all new Manning Cues website which would allow users to navigate easily and enjoy their online experience. The new website offers players and followers thousands of genuine billiard products with factory approved pricing, free training videos and free membership. The membership will allow you to communicate directly with me, receive new product notifications, move through the checkout process faster, save your shipping address, view and track your orders, review products you purchased and much more. 2016 was an explosive year for growth with many great reviews and testimonials from customers on AZ Billiards, Facebook and Google. My relationship with Diamond Billiards had blossomed to a level that I received Diamonds Billiards exclusive online dealer status for the USA and Canada. By July 2017 manningcues.com had become a dream come true. The phones were ringing consistently from clients looking to talk about the game, Diamond tables, cues, shafts and accessories. I was able to fully commit to manningcues.com no longer having a second job and was able to do what I truly enjoy. With the increased traffic and demand for Diamond tables and accessories I created a 2nd website named diamondpooltables.com. This new website is solely devoted to Diamond products where clients can easily view and gain knowledge on every Diamond table or accessories to make a confident purchase with no surprises. Manning Cues is a company that operates with old fashion beliefs just like I do. The relationship with my clients is genuine and you'll always receive honest information, be treated with respect and pay an honest price. I own and operated Manning Cues with 25 years experience in billiards. I personally over see every service, repair and order to ensure you're taken care of the way I would like to be. Manning Cues is not just an online store looking to have you place an order, pay more than you should and receive your product in a few days. I believe that every customer should have the opportunity to personally discuss the product or service they're interested in. Many customers purchase equipment not knowing all the options available to them. Let me save you the headaches others have experienced and get you exactly what you want the first time. I want to thank my wife Mandi, my daughters Ava & Ella, the billiard manufacturers and each of my clients. You're my support system and foundation that allows me to do what I love every day. You've all played a crucial part in my success and made my dreams come true. I will continue to develop Manning Cues as my passion for billiards will last my lifetime.